The original Hayden Planetarium was founded in 1933 with a donation by philanthropist Charles Hayden. In 1935, the Hayden Planetarium, designed by architects Trowbridge & Livingston, opened, after its construction was funded by a 0,000 loan from the Reconstruction Finance Corporation and a 0,000 donation from banker Charles Hayden of Hayden, Stone & Co. Its mission was to give the public "a more lively and sincere appreciation of the magnitude of the universe... and for the wonderful things which are daily occurring in the universe. "Joseph M. Chamberlain, hired as an assistant curator in 1952, became Chairman of the Planetarium in 1956. In 1960, a Zeiss Mark IV projector was installed, followed by a Zeiss Mark VI projector and new seats in 1993. On February 19, 2000, the 0 million Frederick Phineas and Sandra Priest Rose Center for Earth and Space, containing the new Hayden Planetarium, opened to the public. The Rose Center is named after two members of the Rose family, and was designed by James Polshek and Todd H. Schliemann of Polshek Partnership Architects with the exhibition design by Ralph Appelbaum Associates. 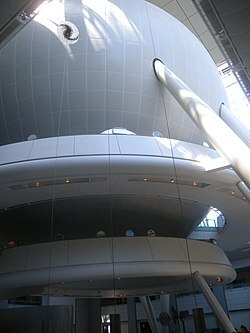 Tom Hanks provided the voice-over for the first planetarium show during the opening of the new Rose Center for Earth & Space in the Hayden Planetarium in 2000. Since then such celebrities as Whoopi Goldberg, Robert Redford, Harrison Ford, Liam Neeson and Maya Angelou have been featured. Da tempo gli studiosi discutono circa la storicità della leggenda di re Artù. Una scuola di pensiero, che cita alcune parti della Historia Brittonum e degli Annales Cambriae, vede il re come una vera figura storica, un condottiero romano-britannico che avrebbe combattuto contro gli invasori anglo-sassoni tra la fine del V secolo e gli inizi del VI.